Spring is a time of renewal and the time for outdoor events. 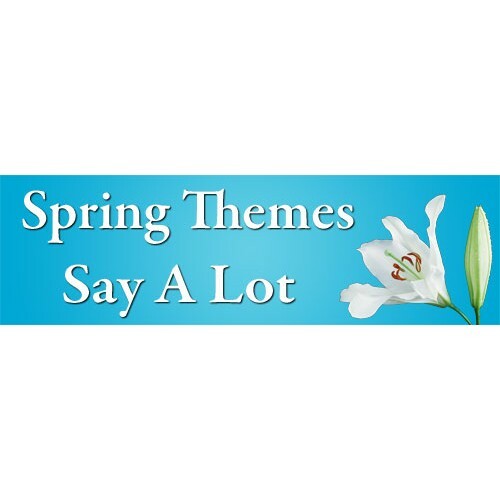 Advertise them with our Spring Blooms collection of sign, banners and boulevards. Remember, all of our collections will have your custom message. We will email you artwork for your approval. 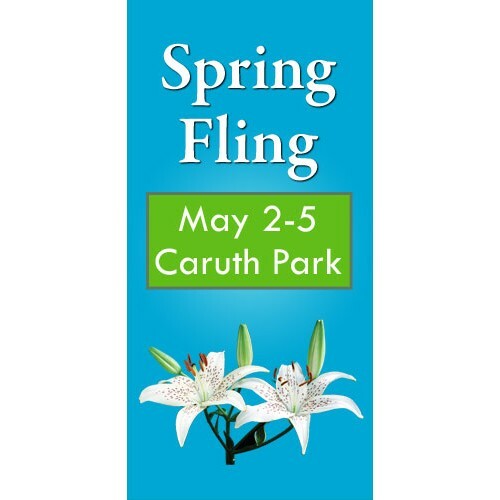 The Spring Blooms banner features a lovely lily. The banner is 3' x 10' in size&nb.. The spring blooms boulevard banner is a bright addition to any streetside. 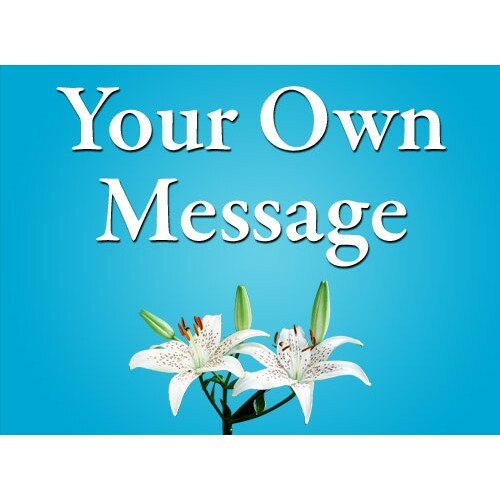 The lig..
Our Spring Blooms sign is 18" wide by 24" tall and designed for your custom message. Cho..